In May of 2017, we stepped out on faith to begin a once-a-month clinic in our mission. 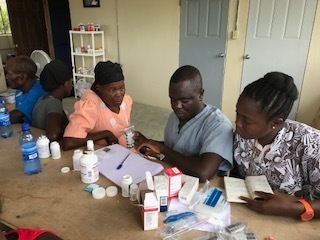 We have a Haitian doctor and nurse who are working with us to help diagnose and treat high blood pressure, diabetes, and other treatable health issues. On our first day, our doctor saw 82 patients and diagnosed several with extremely high blood pressure. 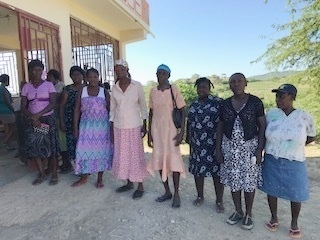 The monthly cost of providing the clinic is approximately $450 per month, which includes the purchase of medicine in Haiti. 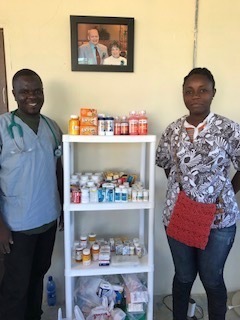 If you can help us provide medicine and care for our mission families, please make a donation via our DONATE page. These people truly need medical care.